Please help us bring great music to the community! Ric Moor was born in Chatham, Ontario and began studying piano at an early age. Ric began studying conducting at the age of 15 with Harold Neal, director of bands at Graceland University in Lamoni, Iowa and was soon conducting numerous church choirs. Ric joined the Chatham Kiltie Band at the age of 9 playing flute and clarinet and played with the junior and subsequently adult division of the band for many years, eventually becoming director of the junior band. Ric graduated from George Brown College in Toronto in 1982 as a piano tuner/technician and in 1992 he graduated from the University of Windsor with a Bachelor of Music degree and received the Board of Governor’s Medal for Excellence. A year later he received his Bachelor of Education degree. In 1997 Ric formed the Greater Windsor Concert Band. This band has received high praise from adjudicators of numerous festivals both in Canada and the U.S.A. Through the years Ric has participated in conducting symposia led by Denise Grant (University of Toronto), Richard Blatti (Ohio State University), and Donald Hunsberger (Eastman School of Music). 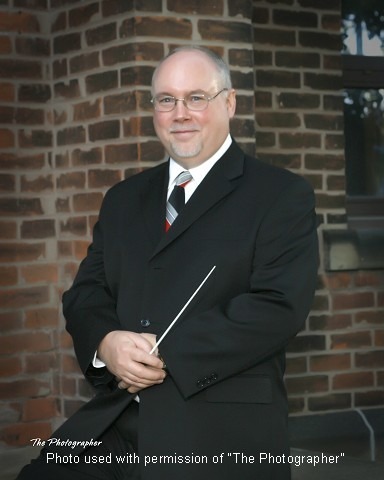 Ric’s dedication to the advancement of music and music education garnered him the well deserved appointment as Director of the University of Windsor Wind Ensemble in the fall of 2010.